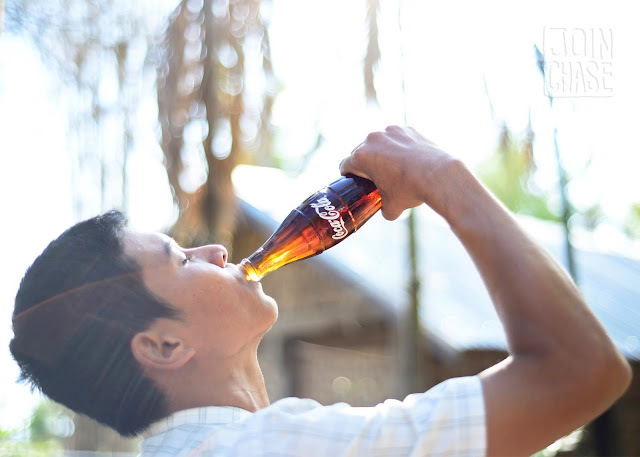 To get the chance to shoot some behind the scenes photos during the making of a Coca-Cola Myanmar commercial was a career highlight for me. Filming took place in a village just outside of Kalay, Sagaing Division—an area overwhelmingly impacted by the floods of 2015 in Myanmar. 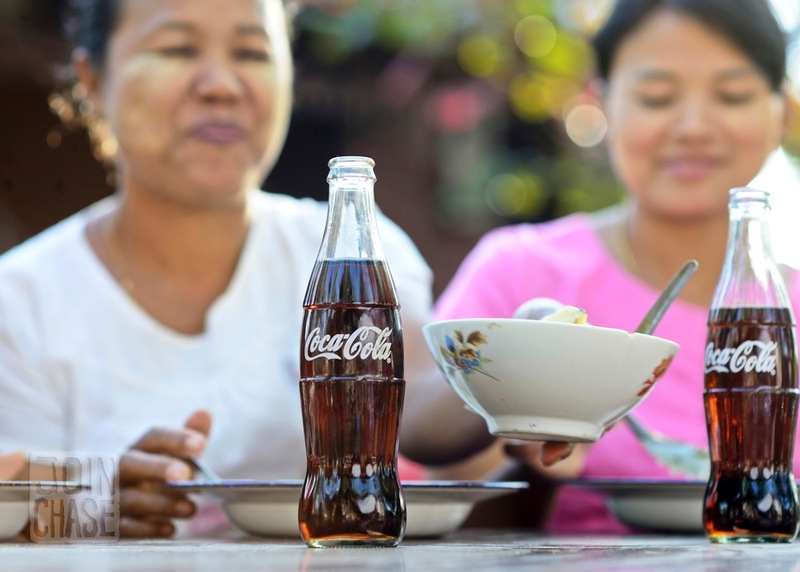 The touching Coca-Cola commercial highlights Coke's #aTuTuMyanmar campaign which focuses on one aspect of Myanmar's culture I find absolutely admirable. The concept of togetherness is the only way communities in Myanmar have begun to rebuild after such devastation. 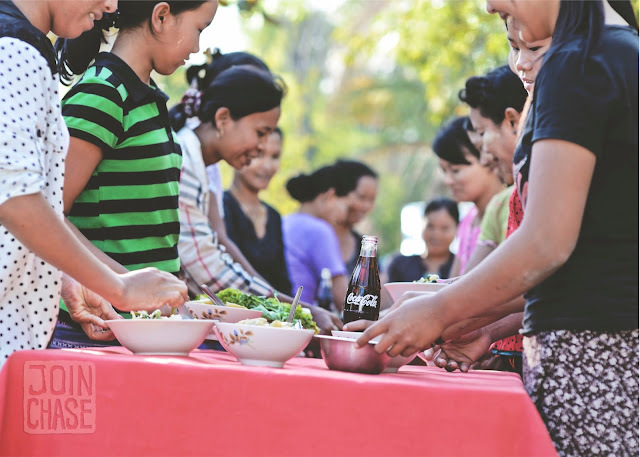 Coca-Cola Myanmar partnered with Network Activities Group (NAG) in an effort to help repair or even replace wooden looms that had been damaged with the help of thousands of dollars raised throughout the nation. 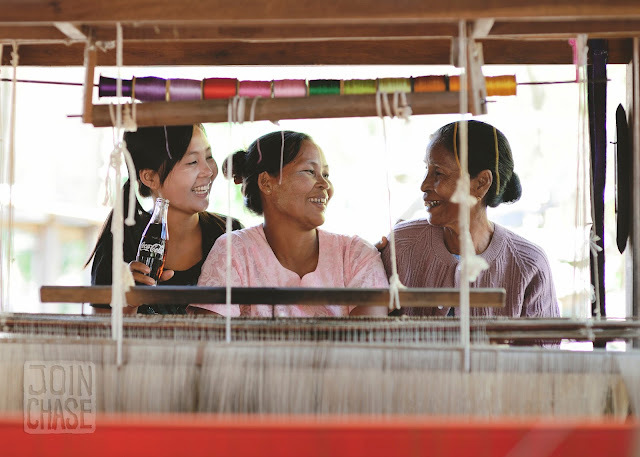 One of the main sources of income for locals in the rural settlement is weaving. Wooden looms can be found under many stilted homes—some of which are still buried under several feet of mud. Weaving is a livelihood passed on from generation to generation as depicted in the television commercial, and also in my photo essay featuring some of the hands, feet, looms, and colorful thread I got to see in action. Special thanks to the fantastic staff at Today Ogilvy & Mather Myanmar, as well as Sai Mon's production team for allowing me to tag along. A woman sees herself on the screen alongside other villagers, agency staff, and production crew. December, 2015. 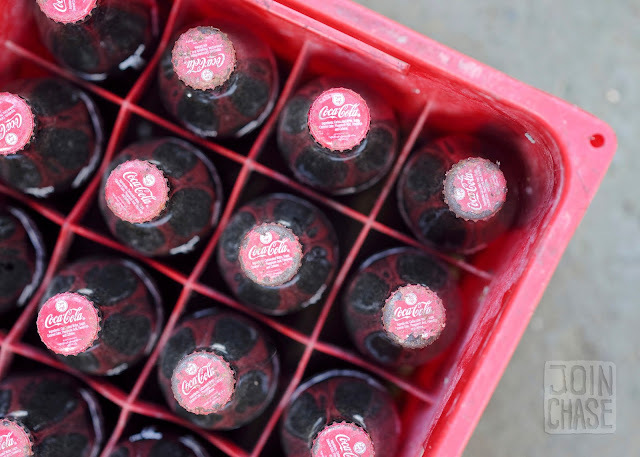 A case of Coca-Cola bottles used during the filming of the Coke commercial in Sagaing Division, Myanmar. 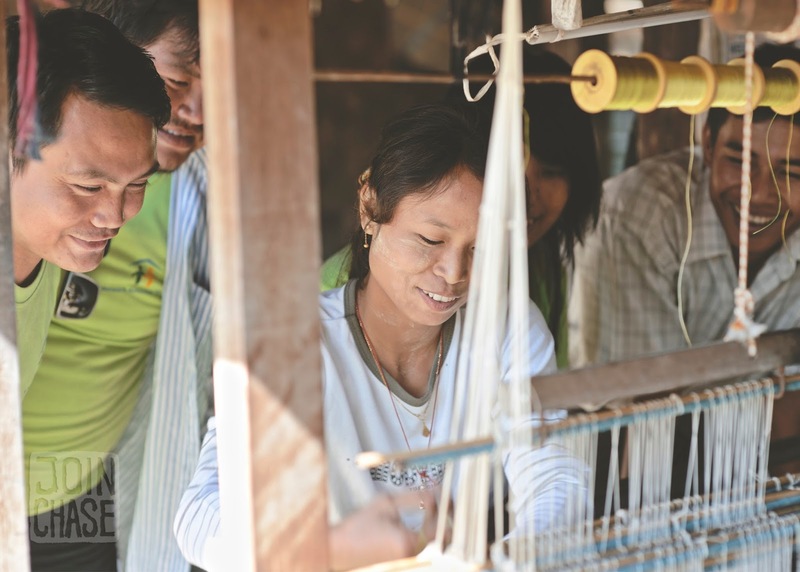 Members of NAG watch a local resident behind her wooden loom. Sagaing Division, Myanmar. December, 2015. 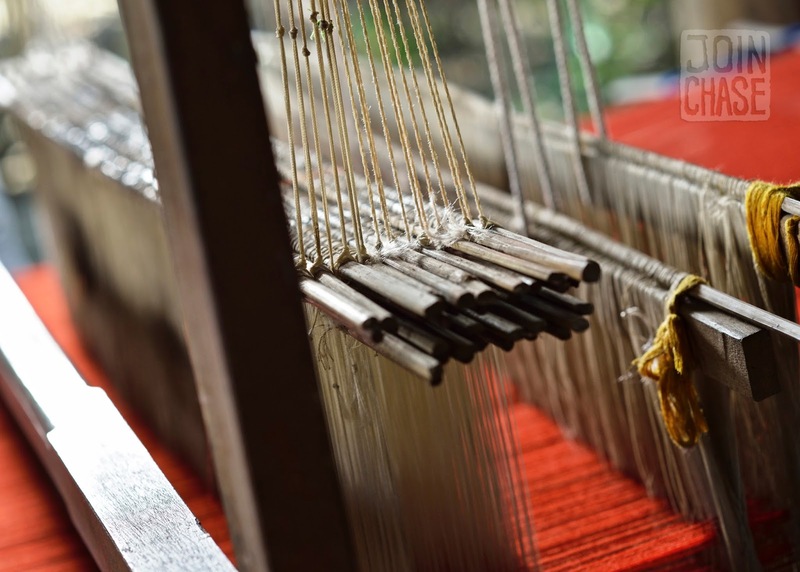 Close up of the loom and red thread used to make the tablecloth for the Coca-Cola commercial. December, 2015. The daughter, mother, and grandmother who starred in the Coca-Cola commerical. Sagaing Division, Myanmar. 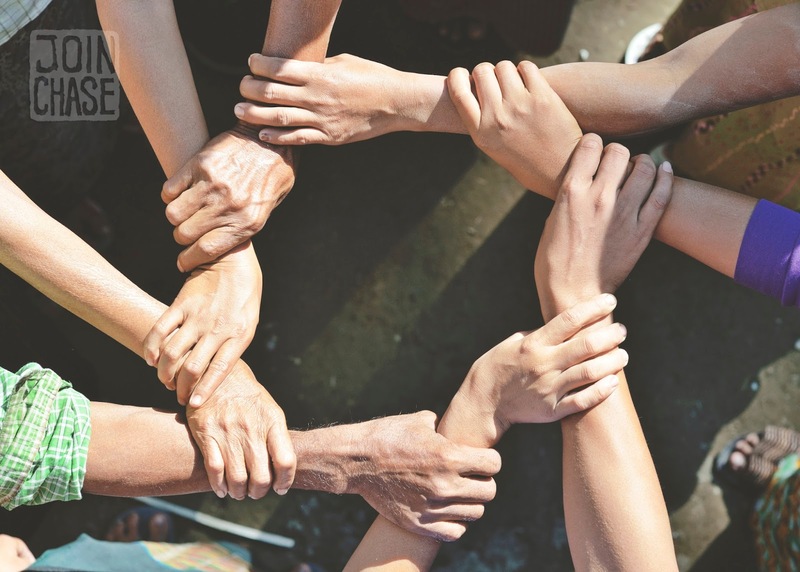 Villagers linked arms and hands for advertising purposes to represent togetherness in Myanmar. December, 2015. The entire village came together for the filming of the last scene in the Coca-Cola commercial. December, 2015. Two women enjoy food and bottles of Coke during the filming of the dinner scene for Coca-Cola Myanmar. A little girl eats a banana during the filming the last scene for the Coca-Cola Myanmar commercial. December, 2015.